Home » How Late in Pregnancy Can I Travel? Pregnant travelers often ask us how late in pregnancy it is safe to travel. The answer to that has to take in a variety of considerations. For a normal, healthy pregnancy there are very few restrictions on when and how a pregnant woman may travel. As pointed out in our other blogs regarding air, cruise and automobile travel, there are some general risks and discomforts that accompany any travel during pregnancy. These include the risk of blood clots if travel requires prolonged immobility and of motion sickness while traveling by almost any means. In crowded conditions such as airplanes, buses and cruise ships there is the added risk of infectious disease, particularly of the respiratory or gastrointestinal variety. But other than being mindful of these problems, a pregnant traveler may pretty much undertake any travel that she would when non-pregnant. 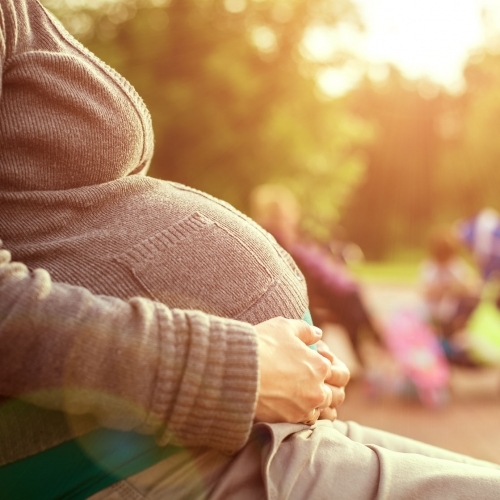 Towards the end of pregnancy, travel industry policies may affect her travel. Cruise lines, for instance, will often not allow a pregnant woman to go on a cruise if she is beyond 28 weeks pregnant. Airlines generally start questioning the wisdom of travel beyond 32 to 36 weeks and will often require a note from her doctor allowing her to travel. Beyond 36-37 weeks a common requirement is that the note be written within 72 hours of travel. Complicated pregnancies often are a different story. Obstetrical complications that may make travel unwise include a history of premature labor, twin pregnancy, a fetus that is not keeping up with normal growth patterns, or any abnormal bleeding during the pregnancy. These are situations that could result in a sudden emergency that could not be safely handled in a moving vehicle. Medically complicated pregnancies also present some challenges to travel. A pregnancy that is complicated by diabetes or high blood pressure, for instance, requires extra care that just may not be available at the proposed destination. Anemia, cardiac disease and respiratory disease may make it unwise to travel by airplane or to high altitude destinations because of the reduced amount of oxygen in the air. Another factor that may influence the advisability of travel is the reason for the travel. Travel plans for a “baby-moon” or to visit prospective parents and grandparents may need to be changed if complications arise. But if the purpose of the trip is specifically to seek care in a more advanced medical setting for a complicated pregnancy, then the travel itself becomes more imperative. 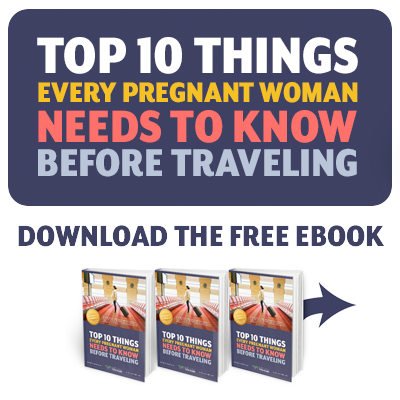 So regardless of the when or why or how of the proposed trip, let us recount a few general principles of travel during the pregnancy. If traveling by air, try to arrange seating in an area where there is more room to stretch out. If going on a cruise, be prepared for motion sickness, and protect against falls when moving about on a moving vessel. On any sort of public conveyance, beware of infectious diseases, either respiratory or gastrointestinal. Always when traveling, stay hydrated. Dehydration can lead to premature uterine contractions. Take snacks with you to use when mealtimes are unpredictable. Before the trip, try to look up a doctor or potential medical care at your destination in case of emergency. Always carry a copy of your medical record. And finally, lighten up on your itinerary. Try not to pack in so many activities that you are left exhausted and not enjoying the trip.